It’s been a busy year at The Climate Corporation as we’ve worked hard to release three new products for farmers; Climate FieldView Pro™, Climate FieldView Plus™ and Climate FieldView Prime™. We’re excited to announce the launch of Climate FieldView Plus and enabling hardware, the Climate FieldView Drive™. 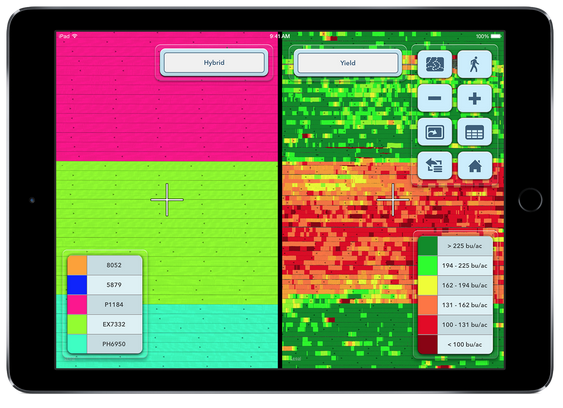 The Climate FieldView Drive will transform your planting and harvesting experience. With real-time data available for farmers to view in the cab, the Drive provides seamless data integration to provide a deeper understanding of your fields. There’s no doubt it’s amazing to see data generating right in front of you as you’re passing through your fields, but why do it and what does it all mean? Traditionally, farmers would go out in the field to plant and hope for the best as they monitored their fields throughout the season. Even most data solutions provided today don’t make the data easily readable in order to execute data-driven decisions. The Drive breaks this data down into easy-to-understand maps and reports to help make informed decisions. The Drive will collect population data and equipment speed during planting as well as yield data, moisture and equipment speed during harvest as you pass through your field. Then, it displays that map data in real time on your iPad®. The different information collected on the field can be viewed in various map layers in order to make it easier to analyze your field. In addition, you can share your data with your trusted advisors to receive their feedback and suggestions as well. When it comes harvest time, many data collection tools will notify you of your bu/a as you pass through the field. With the Drive, your bu/a data will be visualized into your field map so that you can see which hybrids performed well in specific areas of your field, and which hybrids did not. With important visualization like this, you can now determine what hybrids to plant and where to plant them in order to get the most yield possible in future seasons. 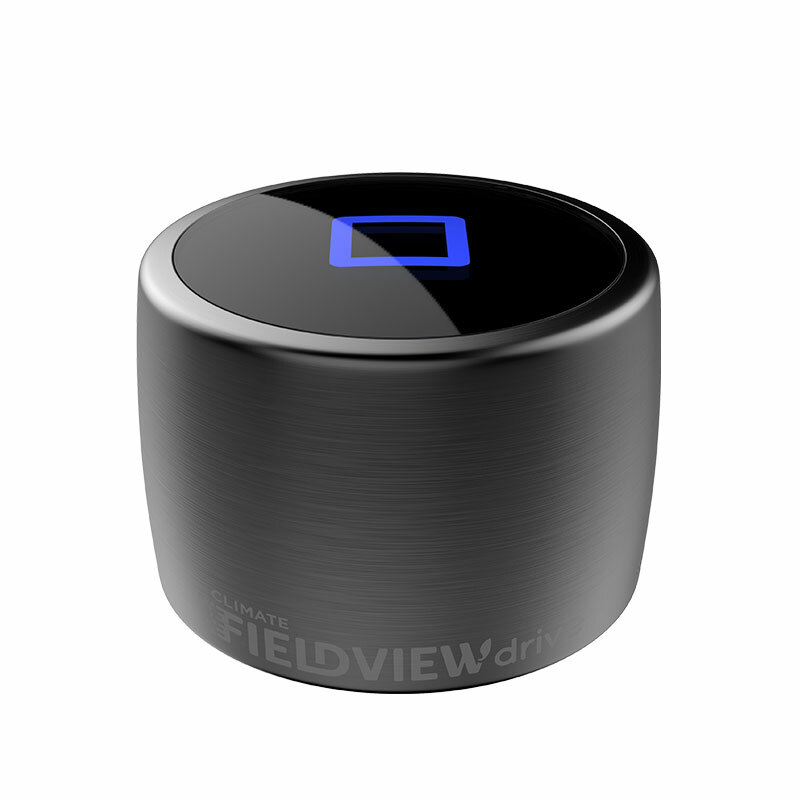 Your data will be stored in the cloud for easy access whenever you need it, no matter where you are. Most importantly, you own the data and decide who it’s shared with. The Drive is available in limited quantities and works with compatible equipment. 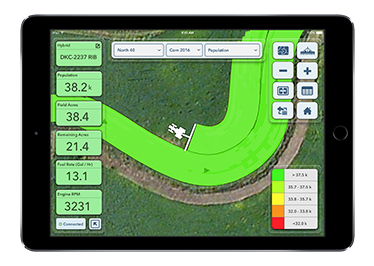 The Drive only works with a iPad® using the Climate FieldView Cab app. Order yours now by signing into your account on climate.com and clicking the “Upgrade Now” button or by selecting “Orders” under the settings tab, or contact your dealer today to get ready for the 2016 season!